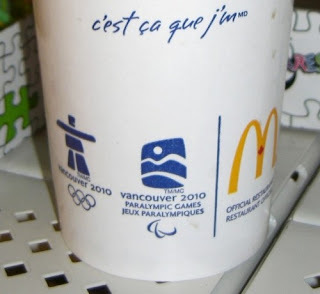 Just wanted to note that there is a very interesting blog post on the Olympic commercialization of the indigenous peoples of Canada over at the Sociological Images web site. The inuksuk Olympic logo is everywhere. Definitely an interesting read if you have concerns over what one First Nations' Indian chief recently called "[The Olympics'] Disney-esque promotional materials [that] suggest a cozy relationship between aboriginal people of the province will all levels of government and it completely ignores the horrific levels of poverty our people endure on a daily basis." 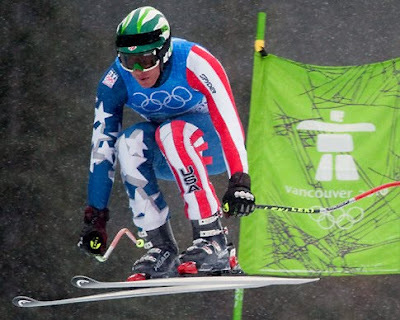 Also, almost four years after Bode Miller told 60 Minutes that "[skiing] when you're wasted isn't easy" and was shut out at the Winter Games in Torino, the U.S. skier is back in (our? the media's?) good graces after winning bronze in the downhill yesterday in Whistler. even after a hiatus from skiing following the 2009 season. CNBC sports business reporter Darren Rovell seems to believe that a couple more performances like that - Miller has four more events to run - will bring the controversial New Hampshire native back into the commercial spotlight.